Take The Cannoli Shirts Borrow From Classic Movie "The Godfather"
Leave the gun. Take the cannoli. Man, mobsters are cold! 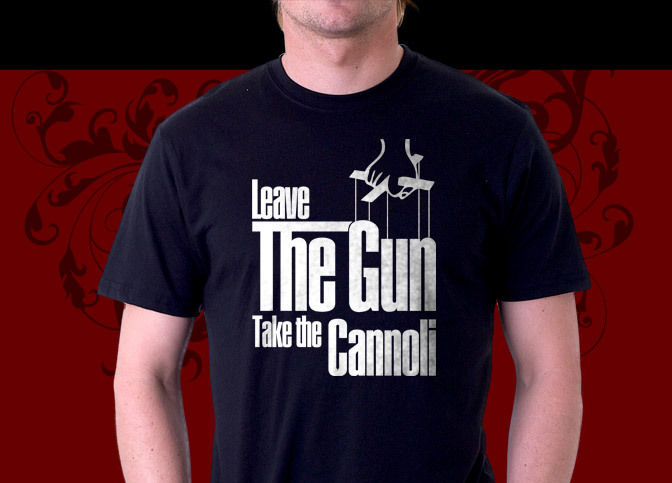 Take the cannoli shirt is a hilarious and attractive tee for fans of the classic moster movie, "The Godfather" The typography is similar to the movie title which instantly causes recollection of the classic movie saying, "Leave the gun, take the cannoli." These fun and beautiful shirts are available in all sorts of styles, colors and sizes for everyone in the family!